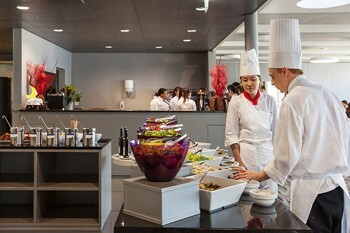 César Ritz Colleges permite-lhe o acesso a uma formação nas áreas de Hotelaria, Turismo e Culinária da mais elevada qualidade. Mestrado em International Tourism & E-Business Management. Estes mestrados têm a duração de um ano: 2 períodos (de Abril a Junho e de Outubro a Dezembro). Estágio complementar entre 4 a 6 meses. Podem concorrer estudantes com uma Licenciatura completa em qualquer área. 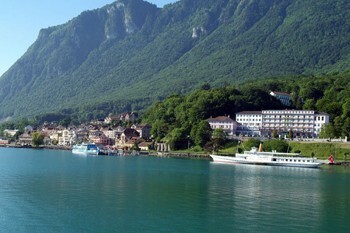 Os dois primeiros anos de curso são feitos em Le Bouveret, junto ao lago, em frente a Montreux, ou em Lucerna, uma das mais bonitas cidades da Suíça alemã. O terceiro ano é feito em Brig, também na Suíça alemã. Le Bouveret Campus - numa pequena estância turística junto ao Lago Genebra, em frente a Montreux. Brig Campus - Muito perto da estação de comboios de Brig, uma cidade perto de conhecidas estâncias de ski e muitos pontos turísticos. Lucerne Campus - Num magnífico edifício antigo recuperado. Lucerna é uma cidade cheia de atrativos turísticos e culturais. As condições e os alojamentos em Lucerna são da mais elevada qualidade. "Hospitality is a highly people driven industry and the international student body at César Ritz Colleges was a true asset to my career. I was first exposed to the hospitality industry when my family was living in Singapore. I had to do a practical training as part of my high school curriculum and did it at the Novotel; it was very exciting to see how all the departments worked together like little wheels to provide guests with an exceptional experience. That's why I decided to do an apprenticeship with Steigenberger Hotels after we returned to Germany and decided to further my studies at César Ritz Colleges. 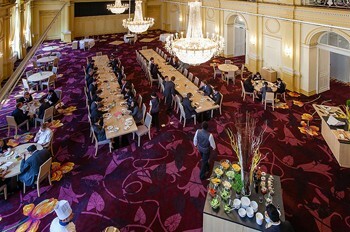 After graduation, I have worked in several properties in China: from the Four Points Sheraton Daning to the pre-opening of the PuLi Hotel and Spa, the PEI Mansion Hotel and the Golden Tulip Hospitality Group. I am currently the Resident Manager for Le Château Club & Serviced Villas, one of Shanghai's leading residential compound and home to CEOs, Diplomats and top corporate accounts since it’s opening in 2001. I am in charge of the Clubhouse operations: front desk, butler department, F&B, health club, resident events and communications. One of the most valuable skills I acquired at César Ritz Colleges was the ability to work, understand and deal with people from different backgrounds and cultures. The combination of American management education from Washington State University and the Swiss operational skills, the international student body, alumni network and my previous work experience helped me get where I am today. Hospitality is a very diverse and rewarding field to work in. It takes heart, commitment, hard work and the willingness to work long hours. You truly need to love what you do. Even if you graduate from a top hospitality school, it is important to not expect to become a manager instantly. It's all about first hand work experience in entry-level positions before one can truly lead a team."